The Middle's move to Tuesday was instantly a boon for the night, and it helped comedy newbie American Housewife to a very impressive start. Much like the CBS Monday comedy lineup, though, the 9/8c hour was a tougher nut to crack, and at least in the early part of the season trailed the year-ago Agents of SHIELD. SHIELD moved to the 10/9c hour and, even before looking at its huge delayed DVR gains, was a huge improvement on the awful occupants of yesteryear. ABC's Tuesday improvement was at its most stark during the winter months, when compared with the miserable final weeks of The Muppets. Even the 9/8c hour looked good, as the weaker comedies got compared with the weak second season of Agent Carter. The huge growth continued into the spring, as the 9/8c comedies looked more favorable when compared with a much weaker SHIELD, and this year's version of SHIELD had a surprisingly decent late-season performance. The Middle: I expected it to decline just a bit in Plus, and that's what happened (albeit in a year of surprisingly high league average decline). It couldn't manage the hit label but it still goes down as the second-biggest Plus season in Middle history. 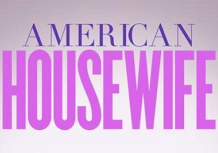 Grade: B.
American Housewife: This show goes alongside Suburgatory in the second tier of Middle lead-outs historically (behind only The Goldbergs). It will continue the Suburgatory-esque path by moving to the post-Modern Family slot next season, but hope the sophomore ratings trend will be more like The Goldbergs. Grade: B+. Fresh Off the Boat: Aside from the very early weeks when The Muppets was doing well, leading out of American Housewife is the best situation Fresh has gotten, though it may have been nicked a bit by facing This Is Us for most of the season. It took enough advantage enough to grow in Plus. Can a Middle lead-in next season get it back over the league average? Grade: B. The Real O'Neals: This is one of several ABC shows that gets to ask the "What if American Idol hadn't been picked up?" question, along with Dr. Ken, The Catch and maybe even the show that replaced O'Neals in the 9:30 slot. I maintain it would've been a pretty reasonable renewal in a world without Idol. Grade: C+. Imaginary Mary: Another one-and-done for Jenna Elfman, but didn't really do any better or any worse than should've been expected in this slot. Grade: C.
Agents of SHIELD: It was definitely looking shaky in the winter, and it's not that hard to envision a path that took it into 0.5 land and a cancellation in the final months. Instead, the spring 0.7's made it a better bet for renewal. This is one of many shows where the move to 10/9c has to be factored in, and it may be even more of a factor with this show since it is so heavily DVRed. This is a fairly rough-looking decline, but the trends were improving at the end of the season, so overall it's a Grade: C+.